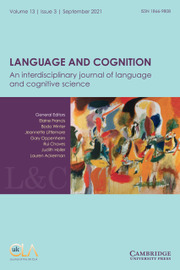 Language and Cognition is the official journal of the UK Cognitive Linguistics Association. 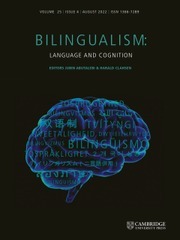 It is a venue for the publication of high quality peer-reviewed research focusing on the interface between language and cognition. It is open to research from the full range of subject disciplines, theoretical backgrounds, and analytical frameworks that populate the language and cognitive sciences, on a wide range of topics. 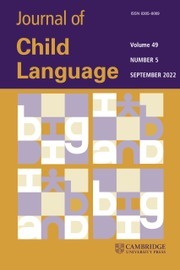 Research published in the journal uses an interdisciplinary, comparative, multi-methodological approach to advance understanding of language and cognition and their intersections. 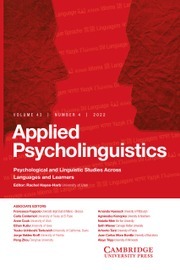 The editors especially encourage submissions that investigate the traditional areas of cognitive linguistics (e.g., conceptual semantics, linguistic categorization, iconicity, metaphor, linguistic relativity, embodied cognition, grammaticalization, construction-based grammar) using experimental, computational, and/or corpus-based methods. The journal publishes original research articles, systematic review articles (meta-analyses), and book reviews. It does not publish technical reports, commentary articles, or position papers. Normally, book reviews and review articles are solicited by the editors. Please contact the Review Editor first if you would like to submit a book review; if you have an idea for a review article or a special issue of the journal, contact one of the General Editors with your proposal. Only original research articles may be submitted without invitation from one of the editors. Submitted articles should be no shorter than 8,000 words and no longer than 10,000 words, including references, footnotes and appendices. Submissions that significantly exceed the 10,000-word upper limit may be returned by editors without comment or review.